Look at him prancing. Truly, the righteous king of Unova.Across our years of Pokemon, we've seen several evil orginizations causing trouble. There was Team Rocket, a sort of criminal underground of Kanto. There were teams Aqua and Magma, two warring factions with ideals that were both different and similar. Then there was Team Galactic, a more tyrannical orginization, more closely dedicated to their leader, Cyrus, and his ideals. In this way, Team Galactic is very similar to this weeks topic: Team Plasma. Before we begin, let me warn all of my lovely readers: SPOILERS, SPOILERS, OH MY GOD SPOILERS. We have a lot to cover today, and I plan to go fully and completely in-depth. So if you're at pretty much ANY point before the end of the game, stop reading this right now. *looks around* are you gone yet? Good. Now, in writing about Team Plasma, I've decided to go about it by discussing each "faction" of the orginization. We start with the grunts, and move up to N and Ghetsis. 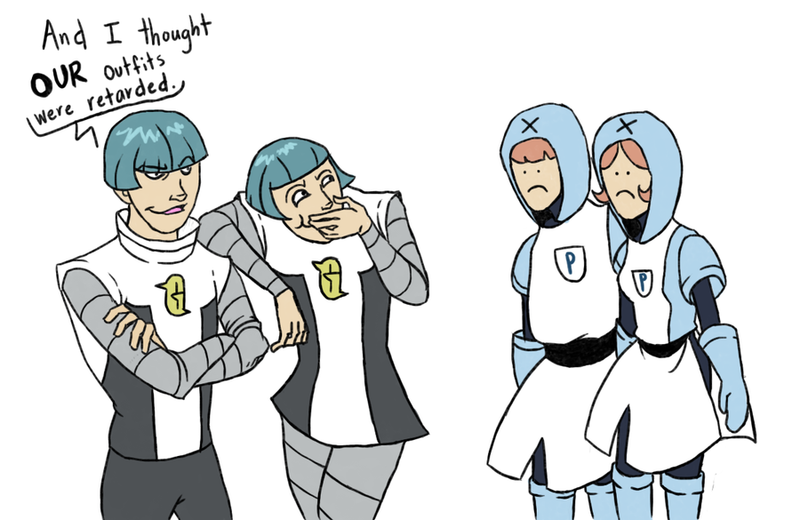 So, the footsoldiers of Team Plasma seem to assume a bit more authority than those of other teams in the past. They have a fierce self-importance about them, seen by the multiple times when grunts steal people's Pokemon seemingly without the orders of the sages. They revere their king, but believe themselves to be more than deciples. It doesn't seem beyond belief to assume that Team Plasma can be treated as a sort of cult. They are forced to wear uniforms that can only be described as cultish, and their unquestioning loyalty suggests that some form of brainwashing may be at work. This is supported by the illogical nature of how they carry out Team Plasma's plans, enslaving Pokemon in order to "save" other peoples' Pokemon. On the surface this just looks like a poorly thrown-together plot, but if we consider the brainwashing possibility, it makes much more sense. Ideas could have been implanted into their minds so deeply that they follow them, despite the obvious hypocrocy of it all. Ghetsis knew that to carry out his plan, he would need more than N. He would need supporters, who would appear his equals. And so he traveled the world, gathering six intelligent men who believed in his preachings, of how one had been born who would one day lead a revolution of the world, segregating people from Pokemon. While we don't know how he convinced them to join him, we do know that doubt began to fill their hearts when Ghetsis' plan failed. This is seen when hunting down the sages after defeating N and Ghetsis. One sage, Gorm, comments "Our intention was to surprise people by making our castle appear and showing off the legendary Pokémon... At that moment, we planned to deeply impress people's hearts with the awesome power of Team Plasma and the brilliance of our new world. Now that I've seen the strength of spirit in you and the Gym Leaders, I wonder how effective that strategy would have been, after all." 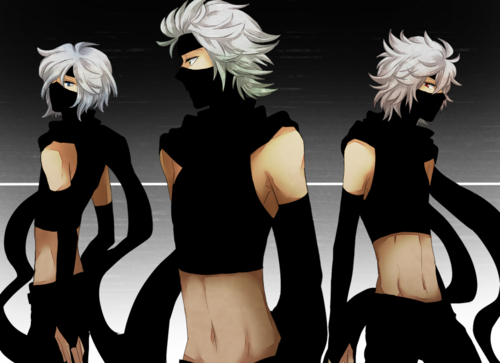 The sages were very loyal to N, believing completely in his ideal world, even when it began to become apparent that he had no idea what he was talking about. The sages believed his strange logic and ways to be a form of enlightenment, perhaps given to him by the legendary Pokemon he sought out. Ghetsis led them to believe in N's grandeur, and so discovering that they had been decieved by Ghetsis for so long must have been a very heavy blow. Being arrested by Looker may even have come as a relief, as it could help them find where to go with their lives from there. The Shadow Triad are not directly part of Team Plasma, but serve Ghetsis directly, because he once saved their lives. No details of this are known. They don't really have much purpose in the games, outside of shoving you in the direction you were already going, until the end of the game. There, they provided Ghetsis' means to escape Cheren's confinement, and dissapear with him. They are the only affiliates of Ghetsis to remain loyal to him after his dissapearence, although they make no attempts to find his, as per his orders. After you defeat N and Ghetsis, the Triad appears at Marvelous Bridge to give you the Adamant, Lustrous, and Gresious orbs, saying that Ghetsis had ordered them to do so. Ghetsis' reasons for this are unknown, but it seems likely that he had some sort of post-takeover plan involving the capture of Dialga, Palkia, and Giratina, and now wishes to start anew. There is a theory surrounding the Shadow Triad, that they are actually the trio of first gym leaders, Cilan, Cress, and Chili. The reasoning behind this is that, at N's castle, the first three gym leaders are the only ones who do not show up to fight the sages. Post-ending, Bianca tells you that she was the one who had contacted the gym leaders, and that by the time she reached Striaton City, the battle was over. However, the fact that we never actually see the three arriving after the battle, plus the overall oddness of not including them, makes the triad theory seem all the more more likely. Concordia and Anthea can really only be touched upon briefly, as we know very little about them. Concordia "gave peace and comfort to N." What exactly this means is unknown, but we can assume that N was raised with Concordia as a companion, a childhood friend. As for Anthea...well, she can heal Pokemon, but that's all we really know. 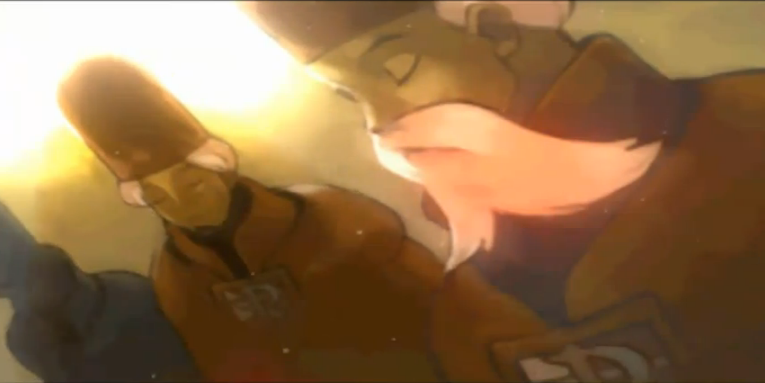 If any future games act as sequels to Black and White, I'd like to see more into the histories of these two. N is my new favorite character from Pokemon. Some people think he's a creeper, but I this he's awesome and fascinating. Raised only knowing what his father taught him, N hates Pokemon trainers, believing them to all be evil and abusive. His mind begins to change, however, when he meets your character, seeing the close bond you and your Pokemon already have. He begins to believe you are diferrent than other trainers, possibly enlightened as he believes he is. This is interesting because it's completely untrue. You are just another trainer who N happens to encounter, and who he drags into Team Plasma's plot. He treats you as an equal, despite the fact that he knows you will oppose him and his ranks again and again. He wants to be your friend, developing a bond with your character through their many meetings. He never directly asks you to join Team Plasma, but tests you again and again to make sure you are worthy. If his takeover of the world had suceeded, he most likely would've given your character a high-ranking position in it's government. N is what I like to refer to as "innocently delusional", due to Ghetsis' teachings. He seems not to know exactly how to achieve his goals early on in the game, and is most likely supplied with the idea of using Reshiram/Zekrom by Ghetsis. 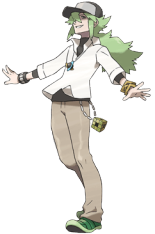 SPEAKING of Ghetsis, let's talk about him for a minute. His plan wasn't a bad one, and was very well thought-out. Use his royal lineage to establish his son as king, and then use him to rise to power by having him seperate Pokemon from people. Then force the members of Team Plasma to release their Pokemon, so he would be the only one with Pokemon at his side, and would have power over everyone else. Not super complex, but do-able in Pokemon-land. He wasn't out of his mind like Archie and Maxie, or a mad genius like Cyrus. He was more like Giovanni; cool, calm, collected, and always planning. Using his own son to gain total power must have been a hard desicion, but he was determined to do whatever it took. And no, I don't get the red eye thingy either. In closing, Team Plasma is an interesting antagonist team because there are times when you actually find yourself sympathizing with their motives. People basically force Pokemon to fight for them. Trainers and Pokemon may bond over time, but that doesn't change the fact that people are basically enslaving Pokemon. One last thing to note is the sequel possibility. After defeating N and Ghetsis, Ghetsis dissapears to parts unknown. After hunting down the six remaining sages, Looker tells you that, in a distant region, a man fitting the description of N was sighted with a large dragon-type Pokemon. Much speculation(my own included) says that this may be a nod to a sequel in the form of remakes of Ruby and Sapphire, if Nintendo wishes to continue remaking older games as newer ones come out. This brings up interesting possibilities for the future, including that of N allying himself with Archie/Maxie to try and find his path, not knowing where else to go but to another orginization like Team Plasma. So we've seen the antagonist characters and motives of Black and White, but what of the other characters? What of your rivals, Bianca and Cheren, and the gym leaders, who have considerable involvement in the plot of the new games? Well, that's exactly where we're heading next time, into the protagonist characters of Black and White.